As we celebrate Nurse Practitioners’ Week 2016, I am encouraged by many things. First and foremost, I am filled with joy as several of my own nursing peers move into advanced practice. To know that the nurses who have taught me so much, and who have demonstrated expert patient care are now leaders in the field of healthcare is powerful, to say the least. As a nurse who has moved from direct patient care into the educational realm of nursing, it is of utmost importance to know that there are Advanced Practice Registered Nurses (APRNs) who are continuing to provide high level nursing care that is based directly upon their nursing education expansion. I’d add, at this point, that the more you expand your education as a nurse, the more opportunity you will have to serve your patients and communities. It’s no hidden fact that as a nurse, no matter what your education level, you are a resource both at and outside of work. How many times have you been called by friends and family members for advice? How many anecdotal diagnoses have you made, based on assessment and self reporting from your non-nursing peers? Doubtless, then answer is large. Even as a nurse who has been out of direct care for a couple years now, I am a go-to in my office, for friends, and for my family. Why is this? Simple: As a nurse, you are trusted, valued and your knowledge is not only needed, but essential in today’s healthcare system. As we continue to see our nation’s health services delivery systems evolve, despite any questions that may be hanging over the current landscape, nurses will continue to be the single largest (and most essential) segment of healthcare workers in the US. As such, any steps you take to expand your education can bring nothing but benefit to you and the larger communities you serve. In lieu of jumping on a soapbox at this point about how and why you should plan to enter advanced practice, I will take just a minute to touch on three of the most important pieces of evolution I’ve seen in the last year in regards to NPs in the United States. In the last year alone, the number of licensed Nurse Practitioners has grown from 192,000 to over 222,000 NPs nationwide. This represents nurses with both Master’s and Doctoral level preparation, and runs the scope of specialties. To me, the fact that nearly 20,000 Nurse Practitioners came out of the nursing education pipeline in such a short amount of time is staggering. It truly speaks to the ability of nursing education to meet the needs of the populace, when it comes to preparing providers for practice. Twenty-one states and the District of Columbia now allow for Nurse Practitioners to practice with a full scope of practice authority. 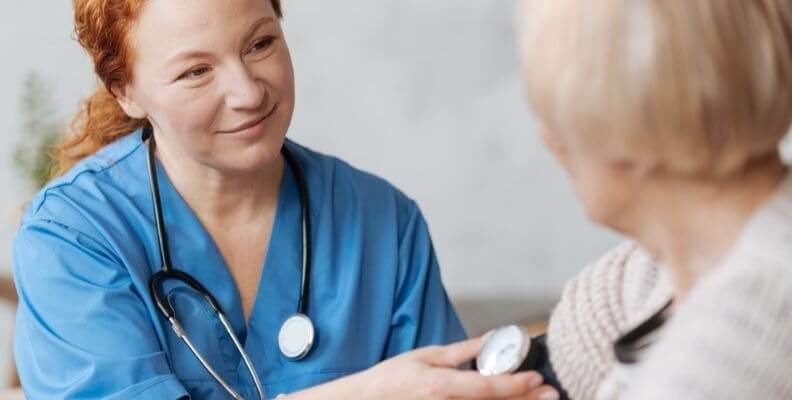 This in and of itself is a gigantic win, and continues to propel both the accessibility and legitimacy of Nurse Practitioners (NPs) as valid Primary Care Providers (PCPs). With expanded scope of practice rights comes the reduction of undue oversight, the gains in respect the nursing profession deserves, and the recognition that APRNS are indeed qualified to provide care independently. The reduction in physician oversight also reduce the burdens these relationships put on both APRNs and MDs, and represents increase efficiency and entrance points to accessing healthcare. Finally, when I look at the number and progression of Nurse Practitioners in the US, I see that we are slowly but surely narrowing the gap between the need and availability of healthcare providers. In a nation that has seen millions of its citizens gain access to insurance coverage over the last year, it only makes sense that an increase in providers must follow. I’m thrilled to see professional nurses take the lead in filling these roles. The holistic and well rounded knowledge base that nurses bring to primary care is invaluable, and we are likely to see the benefits of our growth in NPs as healthcare continues to evolve and change in our country. As a nurse who had always been dedicated to examining and improving the systems of healthcare in our country, and across the planet, I am truly thrilled to see just how far we have come in only the last year. I can only hope that these trends continue, and that we see Nurse Practitioners continue to step up and stand out among providers. As we move into the celebration that is Nurse Practitioners’ Week 2016, I am elated by the gains we’ve made and look forward to those yet to come as we collectively create the future of nursing!